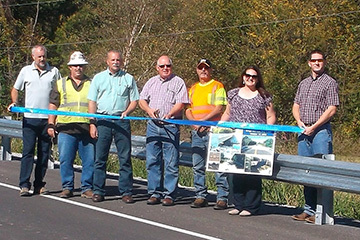 A ribbon cutting was held for the newly constructed Bridge #63 over Dog Creek on October 17 at 11:30 am, according to Commissioner Dan DeLozier, Rogers County District 1. The bridge was designed by GUY Engineering of Tulsa, OK. The new 115 foot prestressed concrete beam bridge was constructed by Paradigm Construction & Engineering, Inc., Tulsa, OK. It replaces the original 30-foot I-beam bridge built in 1950. 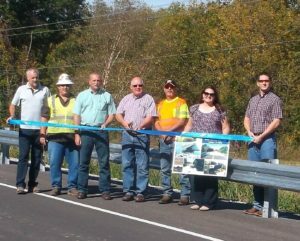 Funding for the $872,000 bridge was provided by Oklahoma’s County Improvements for Roads and Bridges (CIRB) Program.